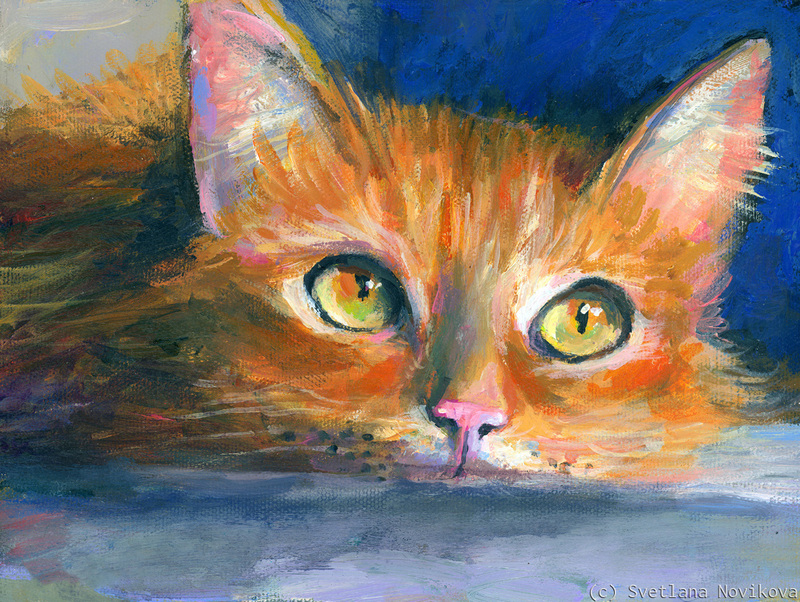 Colorful painting of an orange Tubby Cat. Copyright Svetlana Novikova, all rights reserved. 5" x 7"6" x 8"7" x 9.25"8" x 10.75"9" x 12"9.75" x 13"